In this article, we will show you, How to write a Python Program to Perform Arithmetic Operations on numeric values with practical example. This python program allows the user to enter two numeric values of data type float. Next, we are going to use those two values to perform the Arithmetic Operations such as Addition, Subtraction, Multiplication,Exponent, Modulus, and Division. 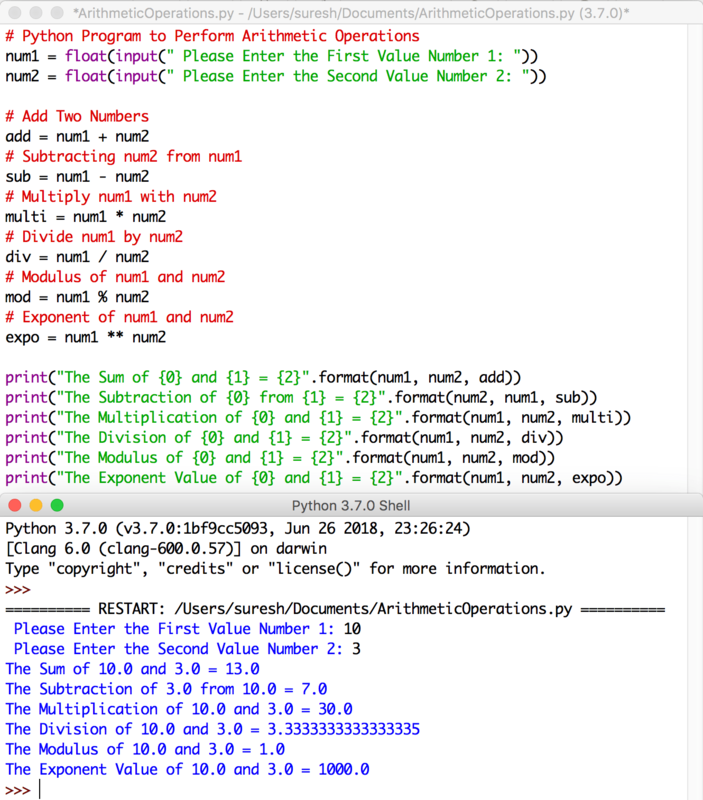 For this Python Program for Arithmetic Operations example, we assigned num1 as 10 and num2 as 3.